The Government is set to offer diesel car owners incentives of up to £2000 under plans for a new diesel scrappage scheme. Proposals are due to be published this week with the scheme expected to be confirmed in the Chancellor's Autumn Budget in December. It would mean owners of qualifying diesels could scrap their car and get £2000 off the list price of a new vehicle to replace it. It is believed that the £200 billion scheme would restrict payouts to owners who live in the worst polluted areas and those on low incomes. With diesel under the spotlight and talk of a new 'tax treatment' for diesel cars, there has been much speculation surrounding a diesel scrappage scheme. The scheme could be rolled out in the UK's top 10 most polluted cities - including London, Birmingham, Derby, Leeds, Nottingham and Southampton. So why is there a need for the scrappage scheme? In 2013, almost 12,000 premature deaths were linked to nitrogen oxide, according to the European Environment Agency. Diesel cars emit a high quantity of Nitrogen Oxide, which are linked to respiratory diseases like asthma, with older models said to be particularly polluting. There are currently over 11.2 million diesel cars on British roads, with almost one in five that are more than 12 years old. Uptake of diesel cars rocketed over the past decade, after they were taxed less than petrol cars due to lower CO2, before much was known about the effects of NOx. Any diesel vehicle that's more than 10 years old is likely to eventually be targeted by the scrappage scheme. However, it's believed that it would only be rolled out in the 10 most polluting cities in the UK before it takes place nationwide. In a survey of 20,055 members, the AA reported that almost 70 per cent of those asked strongly agreed with a diesel scrappage scheme. Edmund King, AA president says, "A new scrappage scheme would be popular with seven in 10 drivers and, we feel, could be part of the solution." What other schemes are set to be introduced? The Ultra Low Emission Zone (ULEZ) will be introduced in London in April 2019. The charge will replace the £10 T-Charge - to begin on 23 October 2017 - in addition to the existing congestion charge. The T-Charge will be set in central London for petrol cars that don't meet Euro 4 standards and diesel vehicles that do not meet Euro 6 standards. It will apply to the same area as the existing Congestion Charge and will operate Monday to Friday from 8am to 6pm. The ULEZ will cover the same area as the existing Congestion Charge initially, but it will be enforced at all times, seven days a week. Any vehicles that don't comply with the Euro 4 (petrol) and Euro 6 (diesel) standards will be required to pay £12.50 on top of the congestion charge. 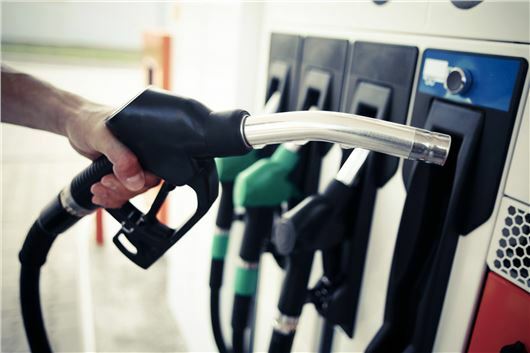 The rules effectively mean that petrol cars over ten years old and diesel cars more than two years old in 2017 will not comply when the scheme is introduced in 2019. The new taxes hope to lower NOx emissions by 50 per cent in 2020, but will bring the cost of driving a non-compliant car in central London to £24 per day. with the scheme, does it mean that you only get the money if you trade it in for another vehicle, or can you just get the money for the car? £2000 won't get me anything better than I have at the moment, and the only way I can afford a new-ish car would be to take out a loan, pcp or lease. Given the current economic uncertainty in relation to my employment at the moment, going from debt free to being in debt for a number of years by taking out one of the above just because the Politicians 'say so' would be foolhardy, so i'm going to pass. I don't intend to ever drive into London or any of the Cities mentioned either way. It would be a shame to see my little loyal 2001 Polo 1.4 TDI get crushed, I have had it since new and its still a little cracker with 155k on the clock (original clutch and never broken down) although If it gets me £2000 off a new Polo GTI, its a Deal! The main reason Derby - a very small city - is so polluted is years of council incompetence by allowing tall buildings either side of the major road through the city centre, which has led to a 'valley' effect collecting pollution. The most polluted area is in a natural dip, the sides of which have been raised by a new college building, new flats and a new hotel. The second-highest measurements are in the area bounded by the tall new bus station and another new multistorey car park, trapping all the diesel emissions from the buses and main taxi rank. Yet the same council now rubs its hands with glee at the thought of a new income stream from drivers. Now many drivers have been steered towards diesel cars for a number of years and they now account for about 40% of passenger cars and are nice to drive with lots of torque at low revs and return good mpg with low Co2. Britain went down the road of reducing Co2 for petrol and diesel cars and therefore based their taxation system solely on Co2 output. Now NOx is the big killer and getting all the headlines, the government looks to make more changes again!! You really could'nt make all this up! The rest of Europe wondered why Britain went down the CO2 route and said nothing about the soot and particulates[pm10's to pm2.5's] that are produced by burning heavy oil. Now there's talk of scrappage schemes to take some of these cars off the road to the benefit of all our lungs which is understandable but who pays for mistakes the government constantly make?? We do! !....No doubt, if they bring in a scrappage scheme it will be based on the wrong criteria again because i have no faith in this country and it's decision making clowns. Pls remember they only took the lead out because it messed up the catalysts that their chemical industry friends convinced them to use as the industry needed a boost - lean burn had more potential but guessing not the right government friends. We are looking for a smaller family car and thats a smaller car that the family can use - not the journalistic bad grammar for a car for a small family, if newer it should be more economical than the old one but erm.... no on both counts, if you are short then you can have a new small car thats less economical and cheap tax to gas us all, if larger (involuntary height not voluntary obesity) then you have to have a larger car and we can tax you. If the french can have 10k euro to buy a different car then why can we not - guessing they billed the eu (us) for it anyway. I think it would make more sense to allow the money from any scraped diesel vehicle to be used to buy any petrol car be it new or old. As long as it is less polluting it would probably end up taking more diesel cars off the road and not cost as much to the person buying the "newer" car. Yet again one man crying wolf and the politicians jump on the band wagon. Whilst I'm not saying diesel cars do not pollute, but many other forms of transport and heating pollute. As it was revealed that Diesel cars only make up 10% of the NOx pollution how is this going to reduce the NOx gases by 50%. My son suffers from horrendous hay fever, one time resulting in him being treated in intensive care, are we going to ban farmers from growing crops.To clean up our air a host of measures have to be implemented not just pick on the easy option the motorist. I fear in 2020 little will have been done to clean up our air quality despite decimating the diesel industry. I have just bought a new car instead of a diesel it's a petrol so now I produce 25% more Co2 than if I'd have bought the Euro 6. diesel version. Oh dear here comes global warming back again. Anyway no worries electric cars are on the way 20 million+ maybe more. so the government now only have to build more nuclear power stations to cope and seeing that the only way electricity prices are heading that cheap to run electric car may not be so cheap in the future. At last someone with a brain... as you rightly say Vehicles only contribute 10% of the NOx pollution. but the government just see cars,vans and trucks as an easy money maker. which is what this scrappage scheme would be. up to a few months ago i worked for a VW dealership as service manager and i was there when the previous Scrappage scheme was running. and i know for a fact that 80% of the cars that were supposed to have been crushed found their way back onto the road again... OK most went out to Romania but they are still out there polluting. but the government were seen to be doing the right thing. if you look at the monetary side of things... so you take the governments £2000 for your old car... then go and buy a new Golf Diesel for £22500.00 the government get back double what they have given you in scrappage from the VAT on the new car. then the portion of the interest on any finance taken. as you say 2020 will come and whatever target will be far from reach regarding emissions because the government only see one source of pollution. if they took a look at Gas powered power stations. a 5600mw power station burns 10.3Billion M3 of gas in a year. if you work out the NOx emissions from one of these alone it accounts for the emissions from ALL of the diesel engines in the UK and Half of those in Spain combined. we have several power stations this size in the UK. decommision those and build Nuclear that will help the glean air schemes more than hitting the motorist yet again!! i have 3 cars over 10 years old all of which are Diesels all emit far less than the official government figures. these will not be scrapped unless they outlaw Diesel fuel production!! !